As the city prepares to host the Winter Olympics, economic accommodation is becoming increasingly hard to find, but an increasing number of hostels and homestays are filling in the void. Advantages: clean hotel with a new, bright and cheerful decor, which is located near the train station and the beach. It has nice and friendly staff, parking and free wi-fi. It also offers guests complimentary tea and coffee making facilities, air conditioning, shared kitchen with a fridge and washing machine. The Black Sea promenade is a 10-minute walk from the hotel. Disadvantages: the amenities are located on the floor. Cost: a room with 3 single beds – from 600 rubles ($20) a day, there are single rooms. Advantages: Set in the Vardane health resort zone (27 km from Sochi), next to a clean and well-kept beach. On its territory it has a shop, a dining room and parking. There are large (18 meters) and cozy double rooms with a private bathroom, a desk and TV. Disadvantages: The hotel is located some distance from the city, the rooms do not have air conditioning. 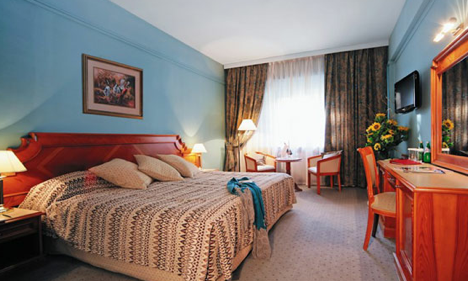 Cost: standard room with two single beds from 900 rubles ($30) per night. Advantages: free Wi-Fi in the rooms, a cozy little family-run guest house located 100 meters away from the sea. On site, there is a cafe where you can have breakfast and lunch, a pool, laundry facilities and a lock box. Disadvantages: very simple equipment, second-hand furniture. The building has 3 floors, no elevator, no air conditioning, but you can rent a fan. Cost: from 900 rubles ($30) per day for a room with 2 single beds. Advantages: The rooms have an air conditioner, refrigerator, TV, lock box, free Wi-Fi. The doors are equipped with modern electronic locks. On the hotel’s website, there is a list of the best deals published periodically. Disadvantages: the rooms are small and modestly furnished, but it totally agrees with the hotel’s low cost. Cost: from 1000 rubles ($35) per room per night. Advantages: location – 500 meters from the train station, a modern 5-storey hotel. The hotel has a variety of rooms with a great view of the sea. Nearby is a promenade area with many bars, restaurants and shops. Inexpensive breakfasts: 180 rubles ($6). Pool, balconies looking out to the patio. Disadvantages : according to the hotel rules – the rooms are to be booked for a minimum of 2 days. Cost: from 1100 rubles ($37) per room per night. Advantages: built in a castle style from the outside, the Coral Hotel is very modest inside. It has 3 floors and only 15 rooms. The hotel is new; it is built a couple of years ago and is located in the heart of the resort. Breakfast is included, prepared in a delicious, home-style way. On site, there is a water park, a bar, a restaurant and a car park. Disadvantages: rooms are to be booked for a minimum of two days. 7. Guest house "Empire Hotel"
Advantages: The hotel offers 24 hour in-room dining, a free outdoor heated 15-meter swimming pool with Jacuzzi, and a pebble beach is located 20 meters away from the building. At the guest house there is a sports complex with a pool table and table tennis. Rooms are air-conditioned. Guests can choose – one "queen-size" bed or two single beds. Disadvantages: breakfast "buffet" is paid for separately – 300 rubles ($10). Internet is available only in the lobby on the first floor of the hotel. Cost: from 1500 rubles ($50) per room per night. Advantages: 3-storey modern building located a few steps away from the sea. The rooms are equipped with air conditioning and TV. On site there is a sauna and a parking lot. The hotel is well suited for a family holiday, and for a group of friends. Disadvantages: amenities are located on the floor, wi-fi is only available in the lobby, and furnishings are a little shabby. Advantages: breakfast "buffet" and a guarded car park are included in the room rate. Throughout the hotel there is access to wi-fi. Free shuttle service to the beach, which is located 300 meters from the hotel. Very accommodating and friendly staff and will assist with any request. The rooms are small but clean. Disadvantages: the price increases sharply, depending on the season. Cost: from 1900 rubles ($63) per room per night. Advantages: pool, a lock box, and a car park are free for guests. The hotel has nice staff, offers delicious and hearty breakfast, clean and comfortable rooms. Disadvantages: prices double during the Olympic Games. Cost: from 2000 rubles ($67) per room per night.